There are a few pop up’s on top of the ones at Hare and Hounds in Kings Heath doing the rounds at the moment. The one’s I like the look of are the ones that give different types of food a chance. Over the next few weeks sees two such pop up’s. 1. 63 Islands Caribbean are a new caterer cooking dishes influenced by the Spanish, French, Dutch and Indian settlers to the Caribbean. They have a pop up at Cherry Reds on John Bright Street in the city centre near the Alex Theatre and Turtle Bay serving their food on the 28th July from 6.30pm. They do have a veggie and vegan options. 1 main a dish called Channa (spiced chick peas) served with coconut, infused rice and peas or flatbread (roti). Plus a few side orders including plaintain and spicy pickled coleslaw and flatbread (roti) which are all vegan as are the chickpeas. Contact 0121 643 5716 for details and reservations. 2. 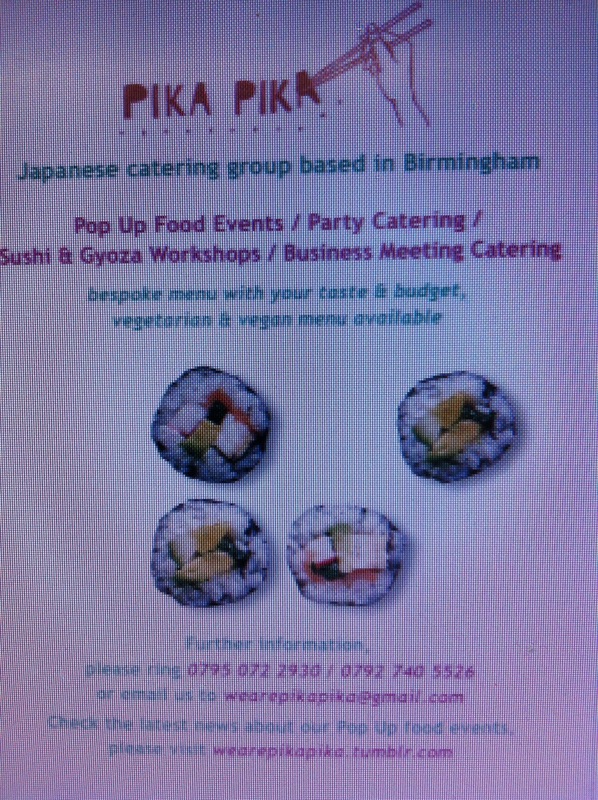 Pika Pika (whom I’ve mentioned as being at The Hare and Hounds Kings Heath foodie nights on the 24th July see previous post) are a Japanese Catering group who specialise in serving Oriental Fusion Cuisine. Pika Pika have another pop up evening on Wednesday 30th July 2014 at The Ort Cafe in Balsall Heath/Moseley area. They will be providing an authentic Japanese pop up dinner experience which again includes veggie and vegan options on the menu. This takes place on the 30th July from 6-9pm. Reservations are recommended email josie@ortcafe.co.uk or call 07845 083 322. 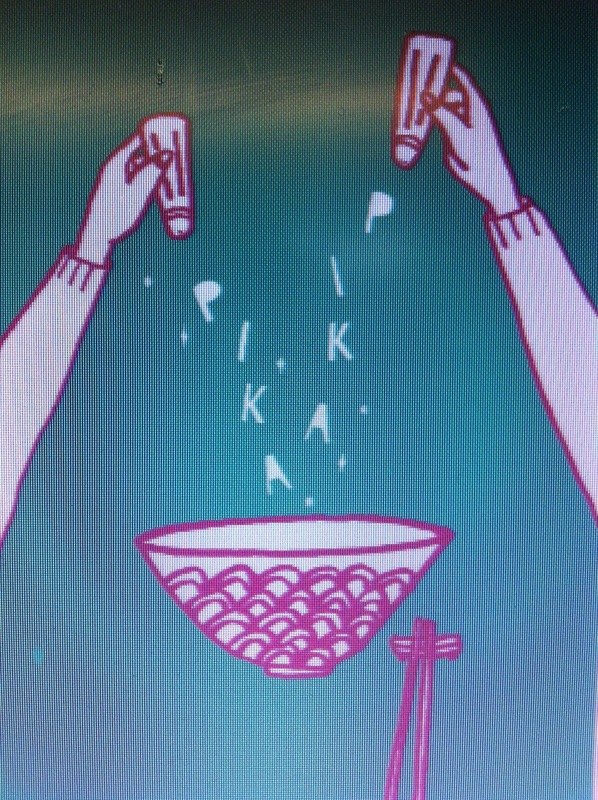 If I have more information at any point on menus for Pika Pika I will update the post. Pika Pika will also be testing their culinary skills at a pop up at Cherry Reds in Kings Heath on 11th August 2014. I will keep an eye and post the menu in due course. Finally, Cherry Reds again (busy people :)) have a pop up kitchen in their John Bright Street cafe on the last Monday of the month. This will be a different street food vendor every month. Watch this space for updates and check on their website http://www.cherryreds.com for details.